Green-GO Quad 4-wire Interface. 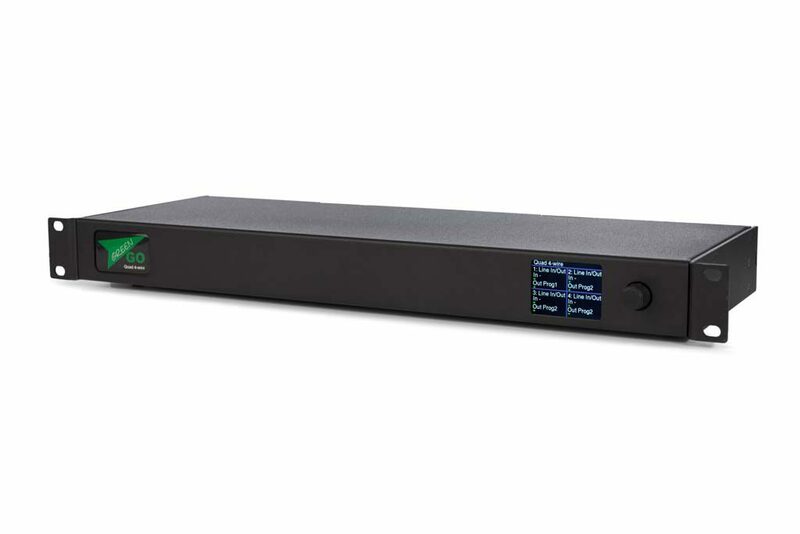 The Green-GO Quad 4 wire interface can connect any 4-wire analogue system to the Green-GO network. A 4-wire port consists of a pair of 3-pin XLR in and output ports with a Sub-D9 connector for general purpose in and output for contact closures. This allows separate audio signals to be injected into and extracted from the Green-GO network All ports can be configured individually through the setup menu of the Green-GO Quad 4 wire. Connect any 4-wire device, for example a third party 4-wire intercom matrix. Get Audio into and out of the Green-GO system, like Program audio or announcements. Connect an audio source from anywhere in the world with a Green-GO bridge device.